Yooka-Laylee Switch Release "Nearly There" | Nerd Much? It looks like we won’t have a release date on the console for quite some time. Developers Playtonic have given us a progress update on their game Yooka-Laylee coming to the Nintendo Switch. Progress was at first halted while the developers were waiting for Unity 5.6 to come out. Now that it has however, the new version came with a boat load more issues for the team to work on. Playtonic states that they are determined to fix these issues before they submit the game to Nintendo and work out a release schedule. So it looks like we won’t have a release date on the console for quite some time. Luckily, the studio also just hired one engineer, Josué, and environment artist Anthea. They’ll be helping out to perfect Yooka-Laylee and get the game out there as fast as possible. Hopefully this means the port will be on its way much faster, but with so many engine issues, it is hard to say. If you don’t already know, Unity is the engine on which most games are made. It is likely that the studio is also working on various patches for the game. One of the main problems with Yooka-Laylee was the camera, it was automatic in a way and often swung to perspectives that were not at all useful for what the player wanted to do. In addition, there were a few organization issues with the gameplay. Some players wanted to see more reward for the side quests, or for the bat to achieve a bit more gameplay wise. Others were not impressed with a few of the voices and the inability to skip or mute them. 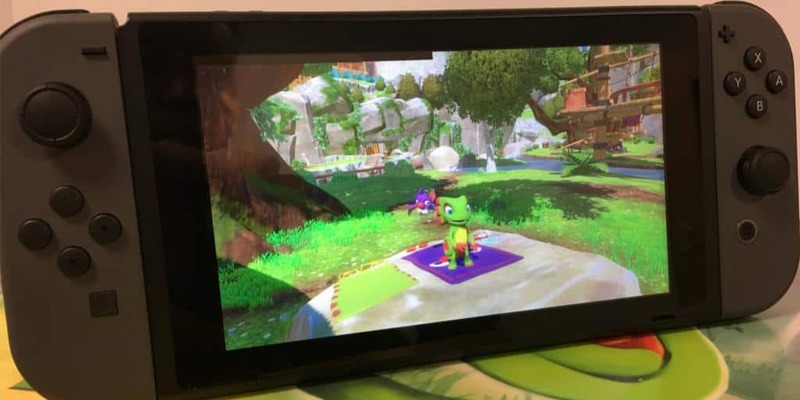 The Yooka-Laylee on the Switch is sure to bring in even more gamers to the Switch, especially those that remember the previous game, Banjo Kazooie. The latter was rude and sometimes a little crude, but good times all around. Yooka-Laylee is far more laid back and focused on a younger audience. Yooka-Laylee is out now on the Wii U and PC.